This design is based on one of my watercolour artwork that I did at the beginning of the spring. I felt like creating a more colourful and bright design to match the spring mood. I drew the floral elements by hand and coloured them using watercolours to create very rich and complex colours. This case design will be an amazing addition to your daily outfit in the spring and summer season. 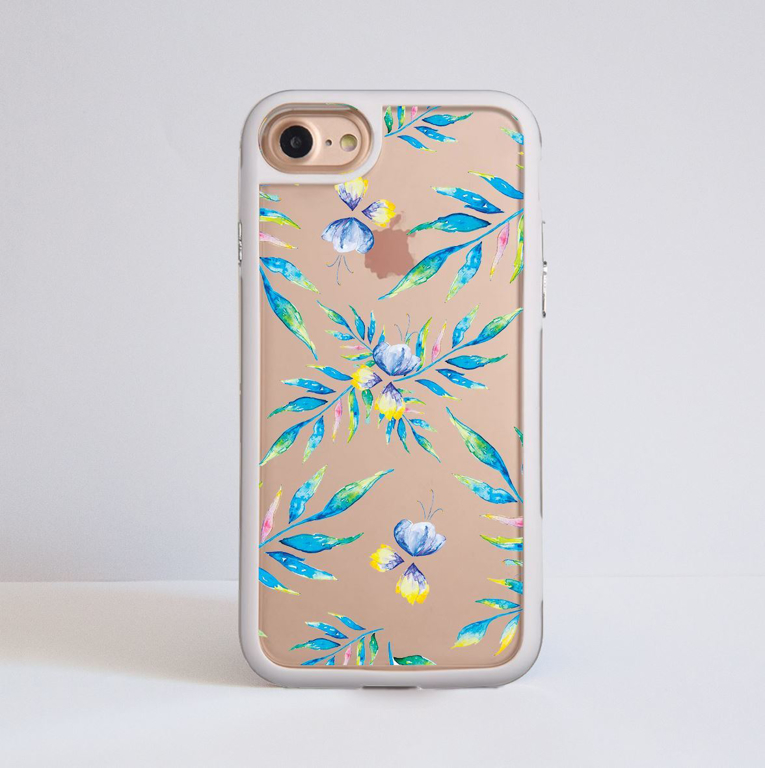 Watercolour Florals Impact Resistant iPhone Case. We wanted to create a more colourful and bright design for the spring- summer season. 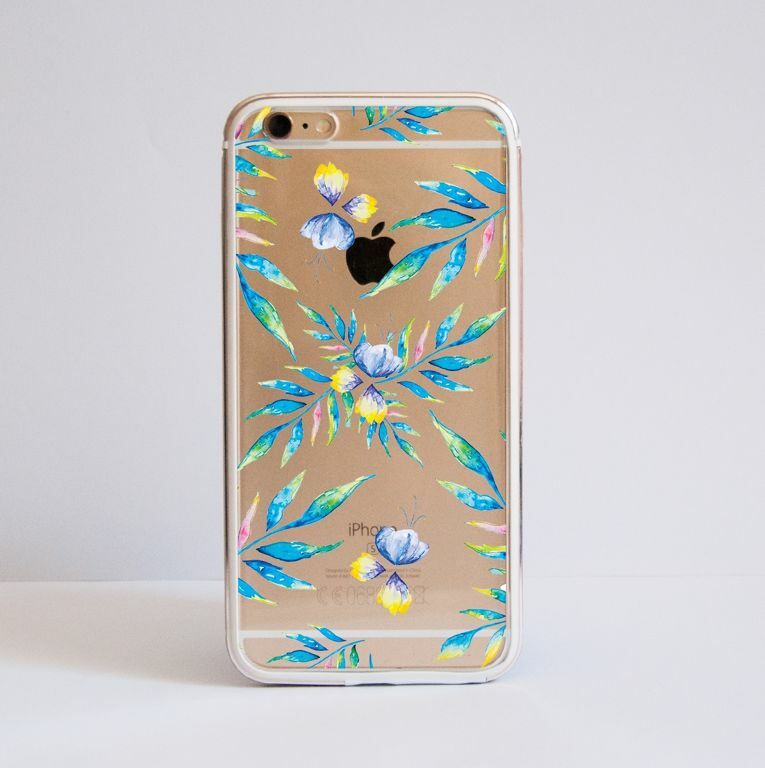 However with its beautifully illustrated floral elements this case design will make a great addition to your outfit throughout the whole year. We use watercolours in our designs to create very rich and complex blending colours. The frame goes around all edges, so it provides protection from every angle. Each case has SLIGHT variations of the printed design (will be more or less zoomed in) as all cases are different sizes and shapes. Also please be aware that different phone models require holes in their cases for sockets and the camera lens, which can obscure parts of the design. This beautifully illustrated floral design is a perfect fit for any season. The bright and colourful floral elements are carefully hand- drawn using watercolours. This clear case design will be an amazing addition to your daily outfit. It also allows your phone to be visible underneath the case, but unlike a sticker it will protect the whole surface. The pictures above are examples of iPhone 6 case.The case itself is made from clear hard plastic and we print the artwork directly onto the case, using special UV inks that will ensure the print's durability and quality. Please note that each model will have slight variations of the final design print (will be more or less zoomed in) as all cases are different sizes and shapes. Also please be aware that different phone models require holes in their cases for sockets and the camera lens, which can obscure parts of the design.